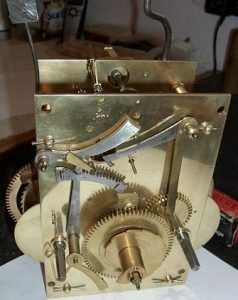 Victorian period Mahogany cased 8 day longcase clock made in Belfast by John Rainey. 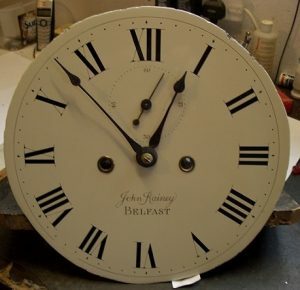 12″ white painted dial with Roman numerals and supplementary seconds dial. Nicely proportioned mahogany case with bracket feet and original ball and eagle finials. Fully restored with one years guarantee. Ref: t6501.